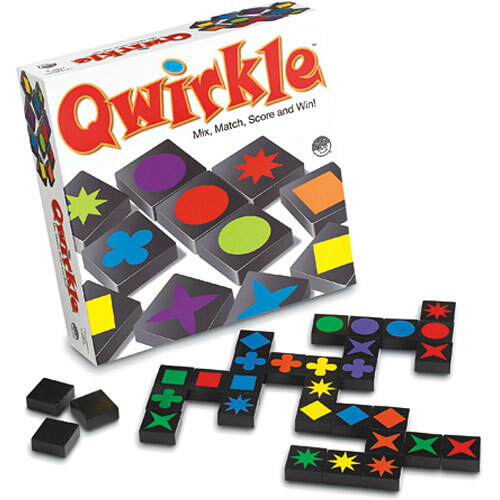 It's a qwick-moving game of fun. 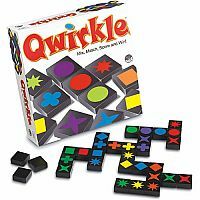 Combine the action of games like Scrabble, dominoes and SET, throw in quick thinking, strategy and high excitement - and you've got Qwirkle. No reading necessary, just the ability to match colors and shapes in rows and columns. Scorekeeping can be simplified for younger players, so gather the troops, pop the popcorn and let the Qwirkling begin!